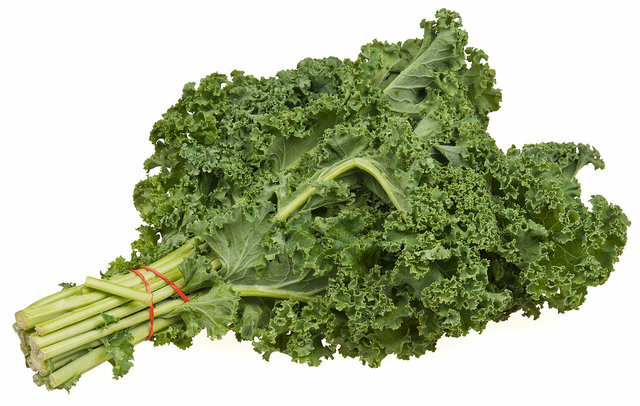 Kale also known as borecole is a green vegetable with the ideal low calorie and high fiber content. Because of the high fiber, it is an important digestive ingredient and is consumed as a side dish, added to soups and other dishes. It is commonly called queen of greens. Kale is known for the numerous health benefits and is widely used for weight loss. Due to the leafy green texture, it is used in salads and similar cuisines. Kale is rich in vitamins. A bunch of kale has all the amount of vitamin A and C that a person requires on a daily basis. It is also compared to citrus fruits due to the abundance in vitamins. Vitamin A required for the skin and deficiency of vitamin A can cause dry and flaky skin. It repairs the tissues and reduces the free radicals in the skin. Vitamin K is used in many skin care products and is seen important to get rid of dark circles under the eyes. Helps in getting rid of the free radicals that are formed when the skin is over exposed to the sun. It also helps prevent the premature aging of the skin. Kale is known to contain Omega-3 and Omega-6 fatty acids. Because of this, it is really good for the hair. It is recommend that you take a glass of kale juice every day for a healthy hair. It can cure hair breaking, strengthens hair roots and increases the elasticity of the hair. It also improves the blood circulation in the scalp. Anti-Cancer: Kale is seen to have a good effect in preventing cancerous outgrowths in the body. Bones: Kale has a generous amount of calcium that helps in bone marrow production and strengthens the bones. Detoxification: Because of the high fiber and sulphur content, kale helps in detoxification. High amount of fibers: It has a good amount of fiber in it, which is important for digestion and defecation. Iron: Iron is required for hemoglobin production that in turn is necessary for the transport of oxygen and carbon dioxide in the body. So a healthy blood flow is a good signal of a healthy heart. Inflammation: Kale helps to get rid of free radicals that are waste products and cause inflammations. So it acts like an anti-inflammatory food. Lung and oral disease: The high vitamin content in kale is responsible for the prevention of lung and oral cavity diseases. Skin and Vision: The vitamin A content is responsible for improving the eyesight and skin diseases. Vitamin C: Vitamin C is very important for metabolism, immunity and provides antioxidants. Vitamin K: Vitamin K prevents clotting of blood and is also useful in treating Alzheimer’s disease. Always harvest kale when the leaves are young. Cook the kale frozen as it is better without first thawing. Kale can be used to make soups and also as a topping for pizza. Kale salad tastes heavenly when cooked kale is seasoned with virgin olive oil, salt, lemon juice and pepper. Store your kale if you have no plans to use it immediately. The young kale leaves can be stir-fried but the older ones need to be boiled vigorously for some time. This softens the rigid cellulose structure. Wash the leaves gently and thoroughly before cooking. Young Kale leaves are way tastier than tough old ones. Fresh kale is available during the winter season. The best would be dark bunches with small medium leaves. Avoid bunches with brown leaves. Store the vegetable in a plastic packet and place it in the freezer. Flavored Baked Kale Chips: It just requires Kale, olive oil and a teaspoon of salt. First of all, preheat the oven to 350 degrees F (175 degrees C). While the oven heats up, line a cookie sheet with parchment paper. Remove the leaves from the stem and tear it into bite size pieces. Wash the leaves thoroughly and make sure they are nice and dry. Add a little of olive oil and seasoned salt according to your taste. Bake the leaves for 10-15 minutes so that they are just brown and not burnt. Kale and Bell Pepper Stir fry: This dish requires, a sliced bell pepper, two table spoons of canola oil, kosher salt, kale (one bunch: with stem removed and leaves cut into bite-size pieces which would be about 10 cups), tablespoon of toasted sesame seeds, two tablespoons of freshly grated ginger. Firstly, heat the canola oil, add the bell pepper and ginger and then add half a tablespoon of salt. Cook for 2-3 minutes in medium to high heat, until tender. Add the kale and soy sauce and toss till the kale is tender enough. Add sesame oil and garnish with sesame seeds. Thus the dish is ready to eat! Apart from these dishes there are many other heavenly dishes you can prepare with kale. Along with good nutrition, kale is also very tasty. Having kale can help you lose weight, have a glowing skin, get strong and long hair and have a good effect on your body metabolism as a whole. Kale truly is a life changer. So go ahead and prepare one of the delicious dishes of the queen of greens and enjoy a happy and healthy life.